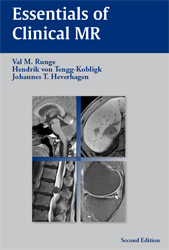 This review focuses specifically on the developments in brain imaging, as opposed to the spine, and specifically conventional, clinical, cross-sectional imaging, looking primarily at advances in magnetic resonance imaging (MRI) and computed tomography (CT). These fields are viewed from a perspective of landmark publications in the last 50 years and subsequently more in depth using sentinel publications from the last 5 years. It is also written from a personal perspective, with the authors having witnessed the evolution of both fields from their initial clinical introduction to their current state. Both CT and MRI have made tremendous advances during this time, regarding not only sensitivity and spatial resolution, but also in terms of the speed of image acquisition. Advances in CT in recent years have focused in part on reduced radiation dose, an important topic for the years to come. Magnetic resonance imaging has seen the development of a plethora of scan techniques, with marked superiority to CT in terms of tissue contrast due to the many parameters that can be assessed, and their intrinsic sensitivity. Future advances in MRI for clinical practice will likely focus both on new acquisition techniques that offer advances in speed and resolution, for example, simultaneous multislice imaging and data sparsity, and on standardization and further automation of image acquisition and analysis. 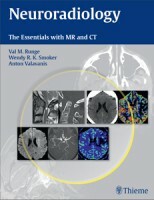 Functional imaging techniques including specifically perfusion and functional magnetic resonance imaging will be further integrated into the workflow to provide pathophysiologic information that influence differential diagnosis, assist treatment decision and planning, and identify and follow treatment-related changes.